Mohammed Tarhuni, a Grade 12 student, said that despite growing diversity in cities like Moose Jaw, these concerns are still often glossed over and not given the attention they require. He asked his audience to listen carefully and take these matters to heart. Tarhuni was joined by classmates Elyas Adam and Razan Suliman. 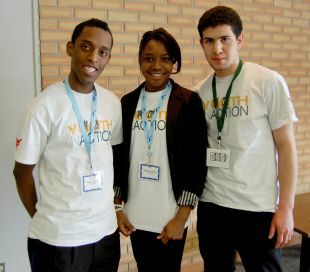 Besides serving as youth representatives on the city’s Cultural Diversity Committee, the three are co-organizers of Youth in Action, a group at Central Collegiate that aims to address the concerns shared by students.